Spartanburg's Cotton Owens, the "King of the Modifieds" and the 1966 Cup championship owner, leads a group of five new people added to the list of 25 nominees under consideration for the 2012 NASCAR Hall of Fame class. Owens won more than 100 modified races and the 1953 and '54 titles on that circuit. He then won nine races, including the first on live television, in 160 starts in the Cup series. His 32 victories as a Cup owner include wins by drivers like Junior Johnson, Buddy Baker, Glenn "Fireball" Roberts, Mario Andretti, Al Unser, Ralph Earnhardt and David Pearson, who won the 1966 championship for Owens. The other new additions are Martinsville Speedway founder H. Clay Earles, 1970 champion Bobby Isaac, former NASCAR executive Les Richter, and Wood Brothers co-owner Leonard Wood. Richter was elected to the NFL Hall of Fame in February. He moved to motorsports after his football career, first as president of Riverside International Raceway and then as a NASCAR executive. The 2012 class will be selected in June by a 54-member panel, plus a fan vote selected on NASCAR.com. 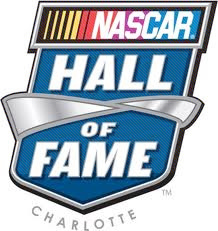 The 2011 class, which includes the Spartanburg duo of Pearson and Bud Moore, Bobby Allison, Ned Jarrett and Lee Petty, will be enshrined at the NASCAR Hall of Fame on May 23. The other 20 nominees for the class of 2012, picked by a 21-person committee, returned from last year's list. Buck Baker, first driver to win consecutive Cup Series championships (1956-57). Red Byron, first Cup Series champion, in 1949. Richard Childress, 11-time car owner and champion in NASCAR's three national series. Jerry Cook, six-time NASCAR Modified champion. H. Clay Earles, founder of Martinsville Speedway. Richie Evans, nine-time NASCAR Modified champion. Tim Flock, two-time Cup Series champion. Rick Hendrick, 13-time car owner champion in NASCAR's three national series. Jack Ingram, two-time Busch Series champion. Dale Inman, eight-time Cup Series championship crew chief. Bobby Isaac, 1970 Cup Series champion. Fred Lorenzen, 26 wins and winner of the Daytona 500 and World 600. Cotton Owens, driver-owner, won 1966 owner championship with David Pearson. Raymond Parks, NASCAR's first champion car owner. Benny Parsons, 1973 Cup Series champion. Les Richter, former NASCAR executive; former president of Riverside International Raceway. Fireball Roberts, won 33 Cup Series races, including the 1962 Daytona 500. T. Wayne Robertson, helped raise NASCAR popularity as R.J. Reynolds Senior VP. Herb Thomas, first two-time Cup Series champion (1951, '53). Darrell Waltrip, 84 wins and three Cup Series championships. Joe Weatherly, two-time Cup Series champion (1962, '63) driving for Spartanburg's Bud Moore Engineering. Glen Wood, as driver, laid foundation for Wood Brothers' future team success. Leonard Wood, part-owner and former crew chief for Wood Brothers, revolutionized pit stops. Cale Yarborough, three consecutive Cup Series titles (1976-78). The Class of 2012 will be announced live on SPEED on June 14 at the NASCAR Hall of Fame in Charlotte, N.C., and inducted next January.